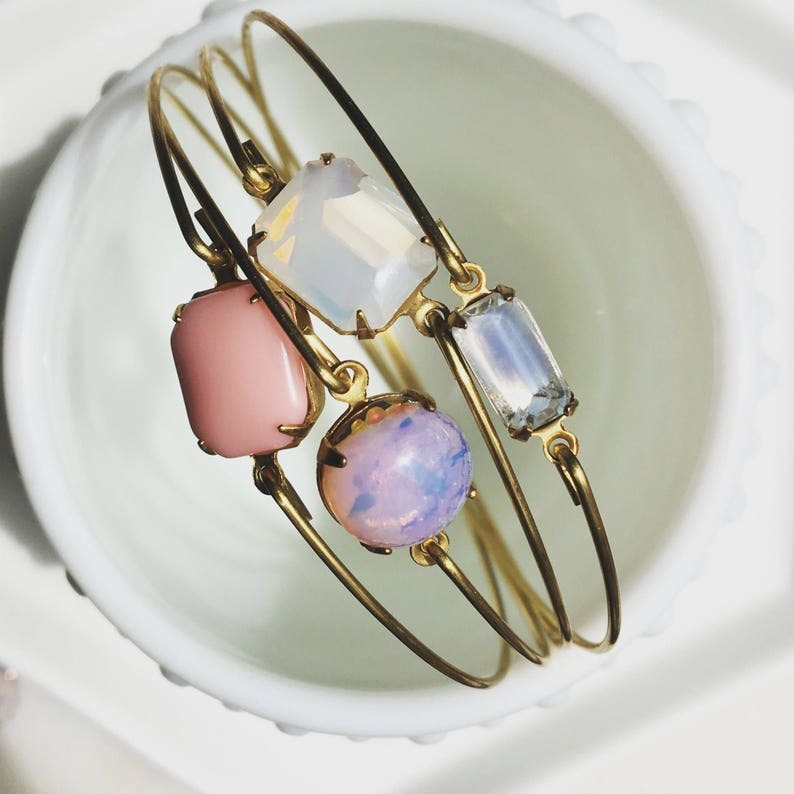 Buy one, two, three or all four of these pretty bangles! Gorgeous jewels combine with a brass bangle for a pretty bracelet perfect for layering! Love them! I'm so glad I bought the fire opal and blue druzy bangle! I will definitely be a repeat customer!